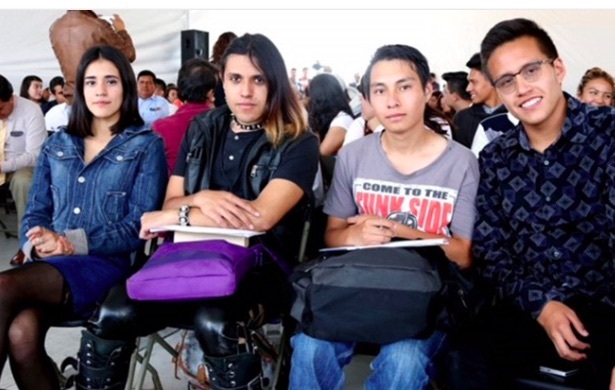 With the aim of contributing to the construction of a culture of peace in the educational communities of the State of Mexico, the Ministry of Education, through the Universidad Mexiquense del Bicentenario and the Council for School Coexistence, invites those interested in participating in the admission process for the Master of Science in Peace, school year 2018-2019. This educational program is based on the formative lines of Conflict Transformation and Peaceful Coexistence in Educational Contexts, Gender Perspective for Security, Development and Sustainable Peace, as well as Public Policies and Citizen Participation for Human Rights and Peace. Where is peace education taking place? Graduates can enroll, preferably in areas related to education, social sciences, human rights and humanities, and the educational program will last four semesters, plus an additional one to complete the terminal work and obtain the degree. The admission process consists of: information session on June 23; pre-registrations from June 25 to July 6; interviews from July 9 to 13; English exam on July 14; issue of results on August 8; registration for the first semester from August 13 to 17; propaedeutic course on August 18; beginning of the postgraduate course on August 24. The delivery of documentation, entry procedure and definition of venue for the classes will be carried out in the facilities of the Higher Studies Unit Lerma of the Universidad Mexiquense del Bicentenario, located at Av. Industria Poniente s / n, Industrial and Technological Park Doña Rosa, Lerma, State of Mexico, from 9:00 a.m. to 6:00 p.m.